Computer get stuck when you start it to connect to PXE server. Why does it happen? Maybe you don’t set boot sequence. AOMEI PXE Boot Tool can streamline the process and solve such problem. “Computer got stuck when I started client to connect to WDS sever on a Windows server 2008, what would I do?” This issue has been asked by many people online. Usually, the error message means that computer was trying to boot from hard drive, but due to computer crashing, it can’t boot. However, PXE server requires computer to boot from network, therefore, you should set booting sequence. Besides, please make sure that all computers can be in the same network segment. Apart from the error mentioned above, there are many other error codes or messages occurring during deploying PXE network boot windows server. How to deploy PXE network server successfully and avoid such problems? AOMEI PXE Boot Tool can be a good solution. AOMEI PXE Boot Tool is a kind of free software that helps you boot your broken computers from an image file on network. If you follow the steps below, you can deploy PXE network boot Windows server easily and avoid many errors. Step 1. 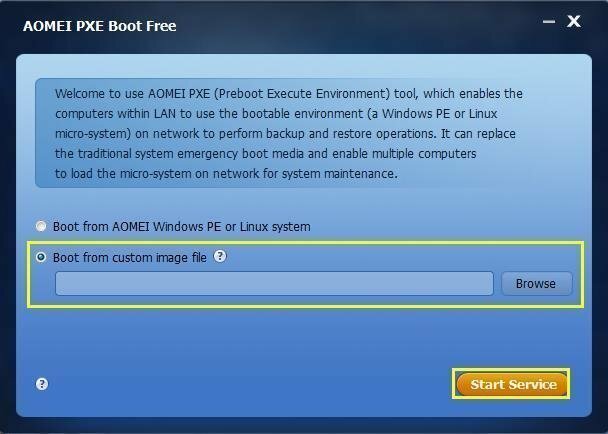 Download and install AOMEI PXE Boot Tool. It is an independent gadget and its interface is like the picture below. Next, you have to add the path of bootable image file and load it. Tips: The bootable image file is indispensable to deploy PXE network boot Windows server. If you want to boot broken computer (client-side computers), you need to upload a bootable image file to network. There are three ways to create a bootable image file-download Linux system image file; use AOMEI PE Builder to create a Win PE image file, or use other third-party software to make bootable image file. Step 2. Set booting sequence in BIOS of client-side computers. 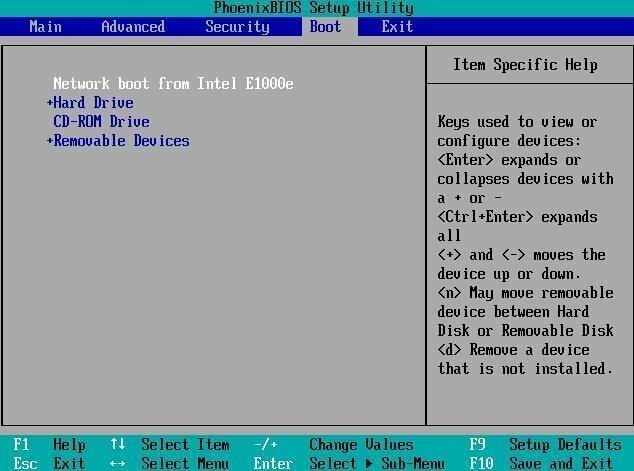 This step is significant to make your computer boot from PXE network. You have to enter BIOS of your computer, and set network as the first booting device. As for some computers with UEFI/EFI, please visit <How to Use AOMEI PXE Boot Tool> to see more accurate operations. Tips: Make sure that your cable is connected normally, or PXE program will post error PXE-E61. Step 3. You can save changes and exit after you set booting sequence in client-side computer BIOS. The PXE service can run automatically between two computers. When there is “connected” showing in the interface, you can click on “Stop service” in server computer. If computer gets stuck when you use PXE network to boot other computer(s), perhaps you should check whether network is the first booting device or not. 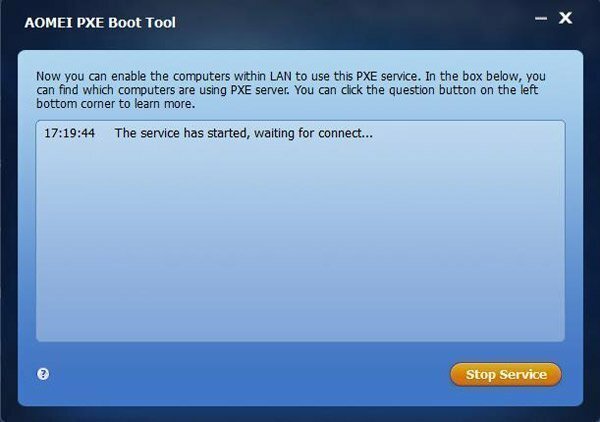 For better to boot computer using PXE, You can use AOMEI PXE Boot Tool, and it can help you to save much time.